Finally, the Ice Cream Sandwich version of Android is available for Samsung Galaxy Tab 7. 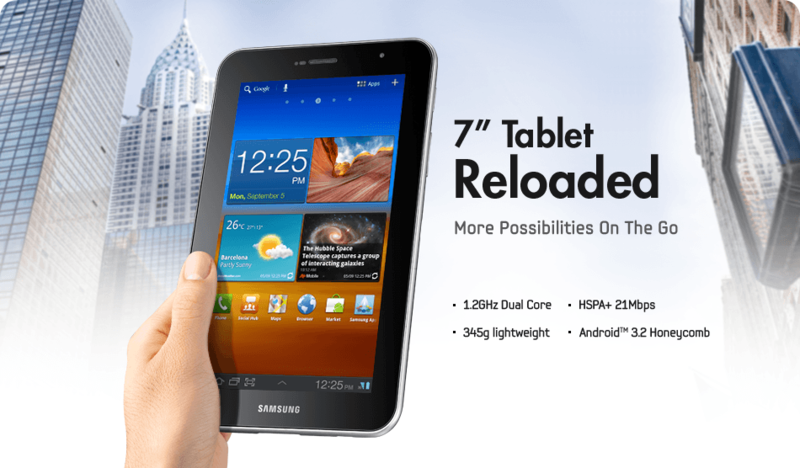 If you are willing to install Ice Cream Sandwich Galaxy Tab 7, then do check out this complete step by step guide. The upgrade process can result in data loss or some serious damage as well. So proceed at your own risk. We shall not be responsible for any damage that occur to your device. Start the process, when your battery is charged for at least 70 percent. Take the backup of data before you start with the upgrade process. Make sure that Samsung Kies is installed on your PC. If it’s not so, then download it from here. First of all, download the Ice Cream Sandwich Galaxy Tab 7 here. Press the Volume Down and Home buttons simultaneously. Keep them pressed for the time, till you see the Android Robot. This is Download Mode. Open Odin on your computer. Use the USB cable to connect your Samsung Galaxy Tab 7 with computer. One of ID:COM boxes will turn yellow on successful connection between your computer and device. Now select the file for flashing. Click on the ‘Start’ button to initiate the installation process. Your device will reboot automatically. 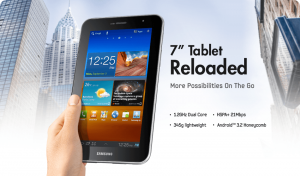 On reboot, you will have Ice Cream Sandwich Galaxy Tab 7 with you. The process is simple to follow and there is no chance for not meting the success. Still, drop your questions (if any) in the comment section below. This was a guest post by Lakhyajyoti Saikia. He is a part time blogger and loves to write about Blogging, Latest Technology, techbusket and many more.